While the internet is reportedly ‘shocked’ at the choice, we couldn’t be happier. His ridiculous performance at the Brits notwithstanding, Plan B (real name Ben Drew), was gripping in last year’s Gor Blimey Guv version of Gran Torino, Harry Brown, and he should add suitable grit to Nick Love‘s latest project. “It’s a dream come true for me to be in a film with Ray Winstone, who is one of my favourite British actors of all time, and I’m really excited about working with Nick Love in what I feel will be a challenging role for me to play,” Drew revealed. 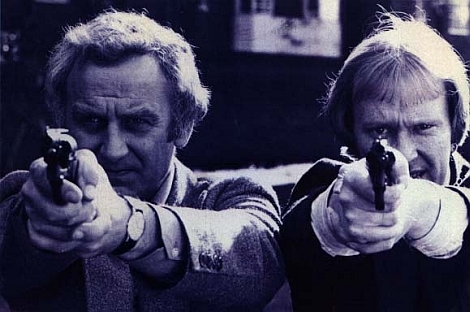 With news of a movie reboot for The Professionals also on the way, cinema’s about to get ’70s-tastic! Our proper Cockney review of The Sweeney!